We've been searching for the perfect rug for our living room for a while now. I felt like it was the piece that was missing to pull the room together. 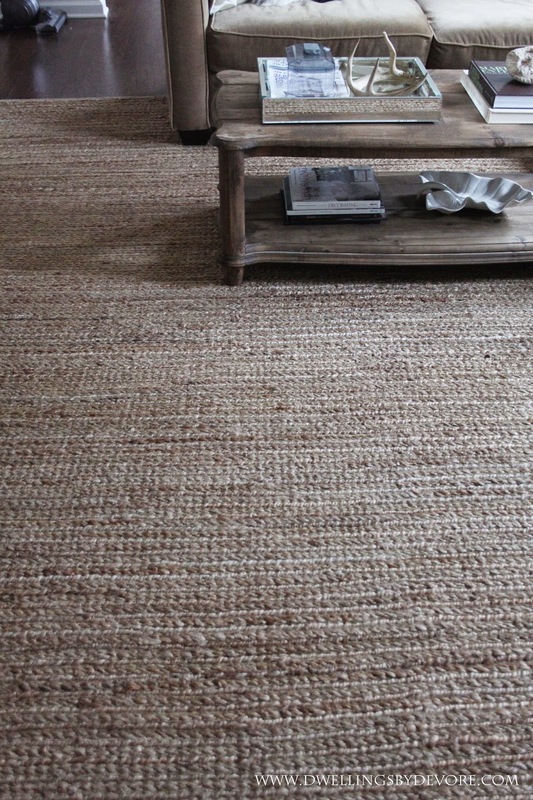 And the more I looked, the more I kept finding myself going back to jute/natural fiber rugs. They are durable and so versatile. There's only one problem that I've had with them in the past, they shed a ton and they leave this dusty residue on the floors underneath them. 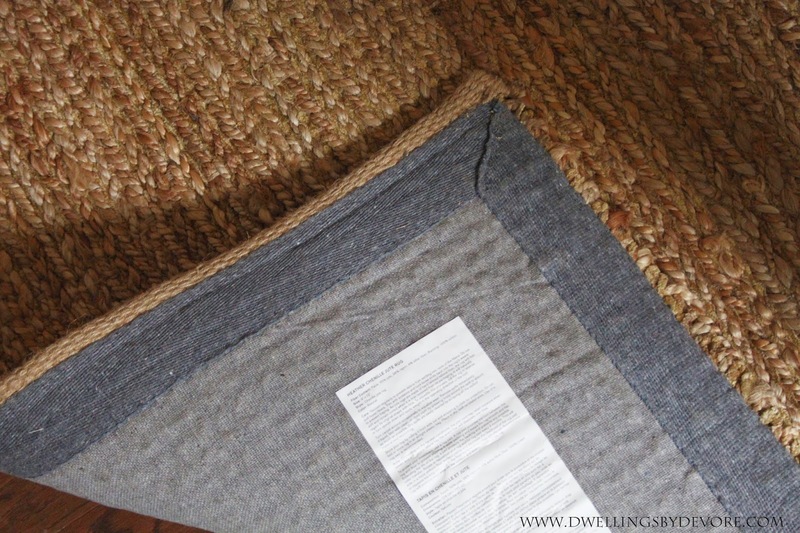 The dusty stuff drove me crazy with our last jute rug, hence the search for a new rug. So I was a bit hesitant to go back to a natural fiber rug. However, this post from Emily Clark gave me hope! 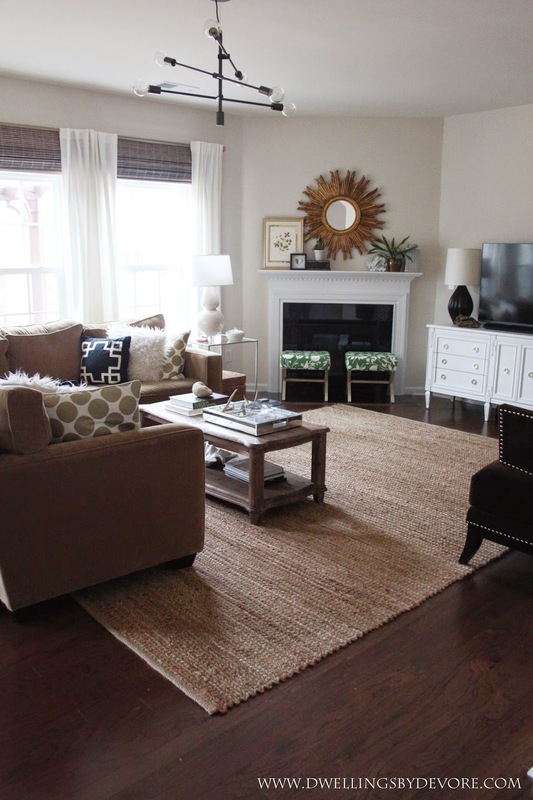 I ended up purchasing the heather jute chenille rug from Pottery Barn. I waited for a big sale (plus a coupon) and then pulled the trigger. It's more than I have ever spent on a rug, but I felt like it was worth the investment. And it was comparable to what you would pay for a large rug at somewhere like Marshall's/Homegoods. I ended up going with a 9 x 12 and it makes the room look so much bigger. Anything smaller wouldn't have looked quite right. In my opinion, it's always better to go a little larger with a rug. It will be worth the extra money you pay, I promise. Look at all that texture, it just can't be beat! And this right here was the part that really won me over. It has a backing so it doesn't leave any of that dusty stuff on your floors! So far the shedding hasn't been bad at all either. It has shed a little bit, like any new rug, but it's nothing compared to the other jute rugs I've had in the past. You might also be wondering how it feels underfoot. It's actually fairly soft, not like walking on pillows, but soft enough to where it's not uncomfortable to sit on it. My daughter plays on it all the time and never complains of it being scratchy or anything. So far we are loving it, but I'll be sure to do an update down the road to let you know how it wears! *This is NOT a sponsored post. I just thought I'd share in case any of you were in the market for a similar rug. Looks good and the color and texture are the perfect background for your room. So pretty. looks awesome! i need a huge one for our living room- i ordered too small and have regrets! 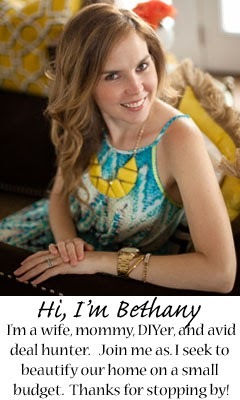 It looks beautiful, Bethany! Ours leaves the dust (actually dirt) too, I'm always rolling it up to clean under it! 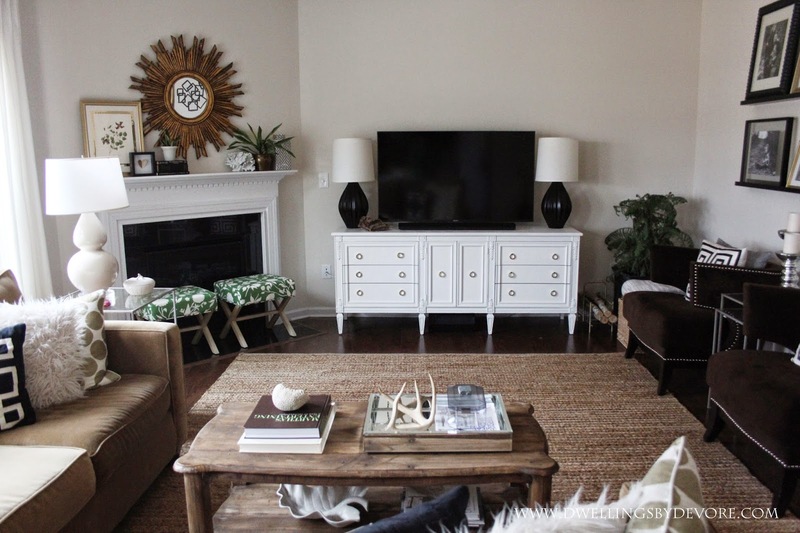 Love the large jute - it does wonders :) Keep in mind that dust that doesn't end up on the floors, ends up IN your rug. Don't forget to take it out for a good cleaning and get all that out of your home! That is the rug on my list if we ever switch over to wood floors in the living room. It looks perfect in your room, great choice! I love the entire space; looks great! Is it comfy? That's the problem I've run into. We spend a LOT of time on the floor (I have 3 and 5 year old boys) and they're not always comfy on the rear. It's definitely not plush, but I don't find it to be uncomfortable. My daughter (she's 3) is on the floor a lot too and hasn't complained about it yet. I think the chenille in it helps it to feel softer. They have it in the store too if you wanted to go in and check it out. You can also order a sample online. i've heard such good things about this rug. looks gorgeous!!! Im having the WORST experience with my jute rug right now. I got a rug pad so thankfully there so dusty stuff bleeding through, BUT the shedding is driving me CRAZY. Uuuugh. So glad you were able to find a great one love. I've had a few bad ones in the past so I feel your pain! The shedding used to drive me crazy too!